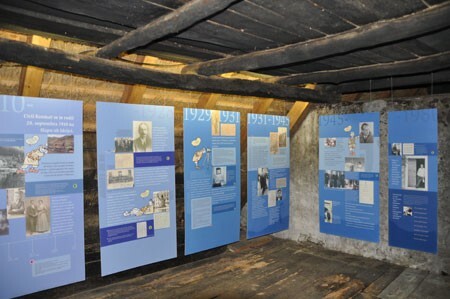 A permanent commemorative exhibition is installed in the homestead of writer Ciril Kosmač, which is situated on the left bank of the Idrijca River on the far side of the main road. 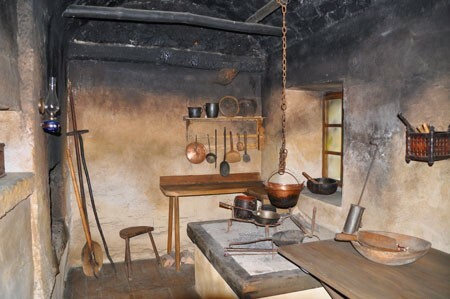 The ground floor, with the hall, kitchen, living room and bedroom illustrate the housing culture of the thirties during the 20th century; this is the period before Ciril fled to the Kingdom of Yugoslavia. The upper rooms present his life and creative work. 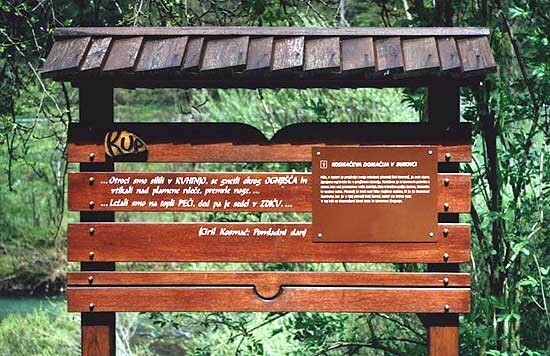 The birth house is one of the main stops along the Kosmač School Trail, a project that was successfully planned and executed by the Dušan Munih primary school of Most na Soči. 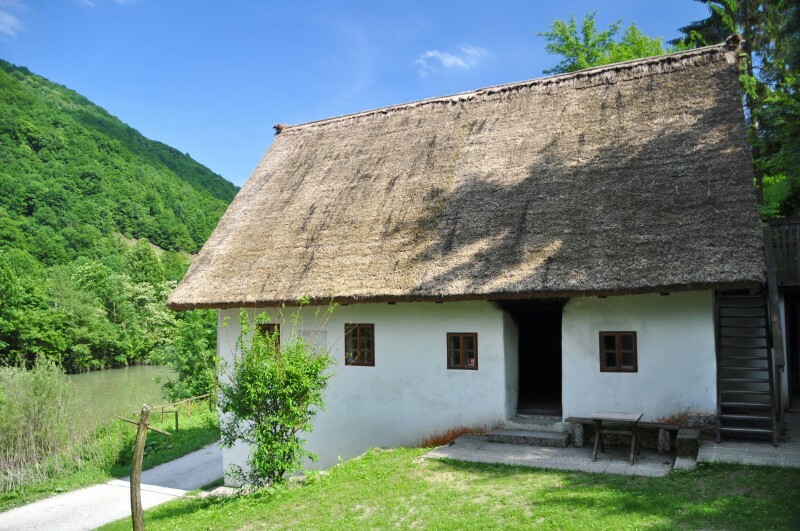 Ciril Kosmač and his house are included in the extensive international project Genius loci, which also assisted in renovating the buildings relating to prominent European artists and opening them to the public. In addition to Ciril Kosmač there were also Federico García Lorca, Francisco Goya of Spain, Friedrich Novalis of Germany and Giotto di Bondone of Italy. Reservations are necessary for group visits, while for individual visits the keys can be obtained at the neighboring house.